Courvoisier is seeking to revolutionize the cognac category with the launch of its Connoisseur Collection, the first major Cognac house releases to carry an age declaration on the bottle. 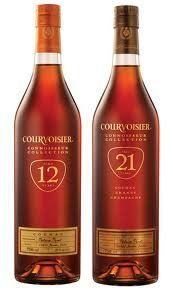 The Courvoisier Connoisseur Collection is launching with two marques, Courvoisier 12 Year Old and Courvoisier 21 Year Old, aged for a minimum of 12 and 21 years respectively in French oak. Master blender Patrice Pinet told the drinks business the releases are designed to enhance people’s understanding of cru and the nuances of blending. “It’s a new approach. We speak about cru, we speak about ageing, but at the heart of making Cognac is the art of blending so generally we are speaking about the blends with these Cognacs. “We wanted to launch a very special collection for the connoisseur for people who want to have a different approach to understanding Cognac, to know more about what a cru is, what age means. “They are also there for new Cognac consumers too, those that might not be particularly confident when looking at a bottle of Cognac about what the age is, what terms such as VSOP mean – it’s all a bit mysterious for them.